MANILA, Philippines - On Tuesday evening, March 7, the House of Representatives approved on third and final reading of House Bill (HB) Number 4727, also known as the death penalty bill. Getting 217 votes in favor, 54 not in favor and 1 abstention, the bill seeks to reimpose capital punishment on seven drug-related offenses. HB Number 4727 will not impose death penalty on convicted people below 18 years old or over 70 years old when the crime was carried out. The said bill also allows execution to be done either through lethal injection, firing squad, or hanging. Bill author and House justice panel chairperson Reynaldo Umali believes that the voice of the people dominated the Congress on the final reading of the bill. “Alam mo ito, boses ng tao ito eh... Siyempre I feel elated. I feel that my colleagues supported us. It was a, you know, a difficult ordeal that we went through, pero 'yung pinagdaanan naman namin are clearly dilatory," Umali said. House Speaker Pantaleon Alvarez reiterated that lawmakers who voted against death penalty would be stripped off their committee positions and deputy speaker posts. Former President and Pampanga Rep. Gloria Macapagal-Arroyo, Makabayan lawmakers, Batangas Rep. Vilma Santos-Recto, Dinagat Island Rep. Kaka Bag-ao, Quezon City Rep. Jose Christopher Belmonte, and Occidental Mindoro Rep. Josephine Sato are expected to be relieved of their leadership and committee positions. Several organizations including the Catholic Bishops' Conference of the Philippines (CBCP) and Amnesty International denounced the passage of the controversial death penalty bill by the House of Representatives. Slamming the Lower House for giving its “consent for the State to kill” CBCP President Archbishop Socrates Villegas urged Catholics to continue opposing death penalty. "We urge Catholic lawyers, judges and jurists to allow the gentleness of the Gospel of Life to illumine their reading and application of the law, so that their service to society as teachers and agents of the law and of justice may bring life,” Villegas said in a statement. 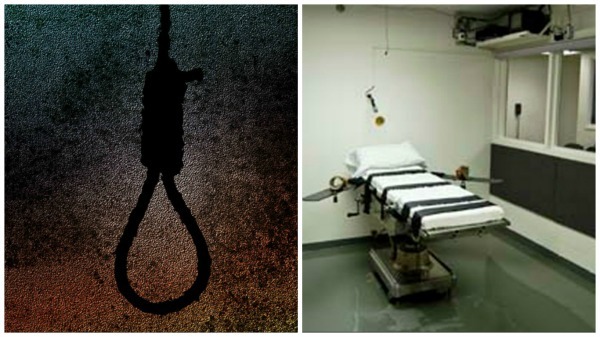 In a press release, International human rights group Amnesty International emphasized that death penalty will not solve criminality in the Philippines. The group urged the government to enact institutional reform to provide an effective check to criminality. “It is the certainty of arrest, conviction and imprisonment, not the threat of execution alone, which acts as deterrent against crime. The idea that killing people will somehow end drug addiction or reduce crime, or even serve justice to victims of heinous crimes only give false hopes – nothing but a placebo effect,” Board Chairperson Ritz Santos said. Several netizens also took to social media to express indignation on the passing of the bill. Filipinos cried over Miracle in Cell No. 7, expressed disappointment on MJ Veloso's execution and now rejoicing over #DeathPenalty. WOW.